How to watch Harry Potter and the Half-Blood Prince (2009) on Netflix Argentina! Sorry, Harry Potter and the Half-Blood Prince is not available on Argentine Netflix, but you can unlock it right now in Argentina and start watching! With a few simple steps you can change your Netflix region to a country like Canada and start watching Canadian Netflix, which includes Harry Potter and the Half-Blood Prince. We'll keep checking Netflix Argentina for Harry Potter and the Half-Blood Prince, and this page will be updated with any changes. Harry Potter and the Half-Blood Prince is not available in Argentina BUT it can be unlocked and viewed! 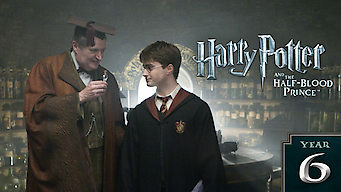 When Harry inadvertently discovers a mysterious book that sheds light on the sordid life of the evil Voldemort, he and Dumbledore prepare for battle. Discovering your enemy's most guarded secrets won't make defeating him any easier. Evil wizards are tricky that way. There is a way to watch Harry Potter and the Half-Blood Prince in Argentina, even though it isn't currently available on Netflix locally. What you need is a system that lets you change your Netflix country. With a few simple steps you can be watching Harry Potter and the Half-Blood Prince and thousands of other titles! Watch "Harry Potter and the Half-Blood Prince"